Check Out This Classy Looking 1962 Chevrolet Impala! 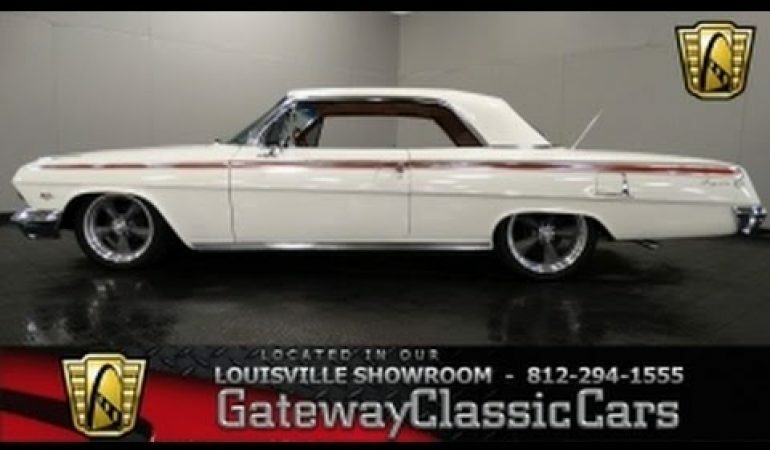 We just came across this video showcasing a classy looking 1962 Chevrolet Impala at Gateway Classic Cars. The car has the original Ermine White that it left with from the factory. It is also complimented with big chrome bumpers, nice looking grills and some vintage badges and emblems which makes this car even more fascinating. It is also matched perfectly with its sizzling red and brown color combo in the interior. Under the hood, this nicely restored vintage car is powered by a 283 cubic inch V8 engine with Power glide auto. It is absolutely one cool All-stock survivor car that you guys would love to have!